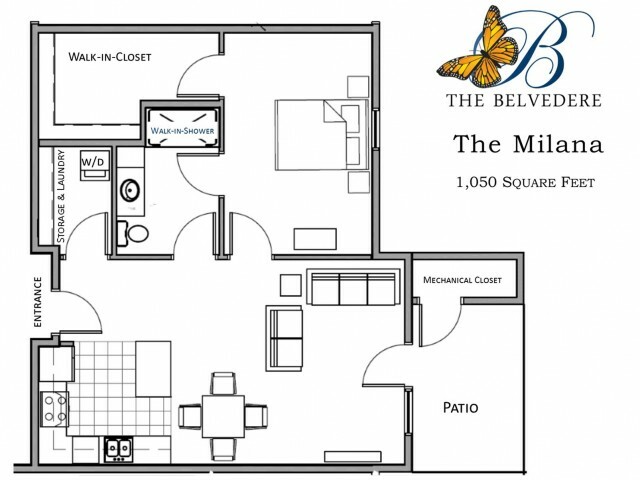 The Milana at Belvedere is a one bedroom, one bathroom apartment. It features a walk-in-shower, a large 9-foot walk-in-closet in the bedroom, an additional large storage closet with a washer & dryer off the kitchen area and private patio. This is a unique floor plan. There is only one in the entire building. It is located on the first floor.